On a roller coaster ride with this foxy little girl, who walked by my side and rocked my world. But she lied and cheated and I finally learned, can’t trust some people when your back is turned. I’m looking for an ugly woman someone who’ll understand, looking for an ugly woman, who won’t disrespect her man. Looking for an ugly woman, pretty women they think they’re smart. Looking for an ugly woman, pretty women they’ll break your heart. They don’t understand y’all, they can’t feel my pain. If they could see this from the other side, they’d see that beauty’s just going along for the ride. I’m looking for an ugly woman yes I am, looking for an ugly woman frankly, I don’t give a damn. Looking for an ugly woman, pretty women they think they’re slick. Looking for an ugly woman, pretty women they’re full of sh—t! She ride around in a car with smokey window glass, she look sadity but she ain’t got an ounce of class! I’m looking for an ugly woman yes I am, looking for an ugly woman frankly, I don’t give a damn. Looking for an ugly woman, pretty women they talk too fast, looking for an ugly woman, pretty women they can kiss my Unah! Unhun! Yeah! Yeah! Unah! Yeah! Unah! Ununh! Yeah! Yeah! Unah! Aw! She ride around in a car with smokey window glass, she looks sadity but she ain’t got an ounce of class! 4, I learned my lesson, I did discover, can’t judge a book not by the cover. I tell ya’, I forgave her a thousand times, I guess I never did in the back of my mind. Ugly woman, pretty women will break your heart. Ugly woman, pretty women they think they’re smart. Looking for an ugly woman, pretty wimen they think they’re cute. I want an ugly woman, just to help me spend my loot. Ah! Ha! I told you to be careful what you look for, now didn’t I!? 12 Sep Have You Ever… Had to Live Next To A Pigpen? What’s the craziest or most bizarre place you’ve found yourself calling home? Beware of the many imitations and check out the real thing. In these times, remember how important it is to EXPRESS YOURSELF. Use your voice to make change. In the Preface to his book, Wright writes, “Some may consider these chapters a vital part of American history which has yet to be told in this particular fashion. “Truer words could not be spoken as the reader receives a series of history lessons from a firsthand account straight out of the memories of a most impressionable and observant youth. 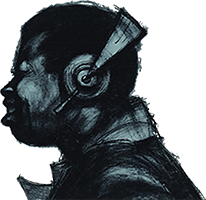 Through his hindsight insights as an older/wiser man, Charles Wright imparts knowledge, culture and context in each of the tome’s 56 chapters. Through Wright’s eyes, the reader will meet his long put upon father, his wily but loving mother, his young brothers, sisters and cousins, and two different White land owners that overworked and underpaid them all with utmost disrespect to go around. While no one that studies history will find that surprising or enlightening, the personal portrait shared here makes it all the more poignant and real. Along with the strife and struggles, however, are visions from a wide-eyed child of the natural world around him and the industrial changes happening on that very land. There’s the warmth and play of a family co-existing in a shabby home in spite of hard times. And then there’s a love story between a woman and a man that blossoms against all odds and challenges as they fight to understand each other, support each other and still find a way to romance each other. “Up From Where We’ve Come” emerges as a triumphant and highly unique literary statement from a man whose music has already touched several generations of fans. So powerful are the stories that Wright has not one but four separate Forewords from supporters across the spectrum: California Congresswoman Maxine Waters, Rock ’n’ Roll Originator Little Richard, acclaimed Broadcast Journalist Roland Bynum and renowned Music Educator Reggie Andrews. 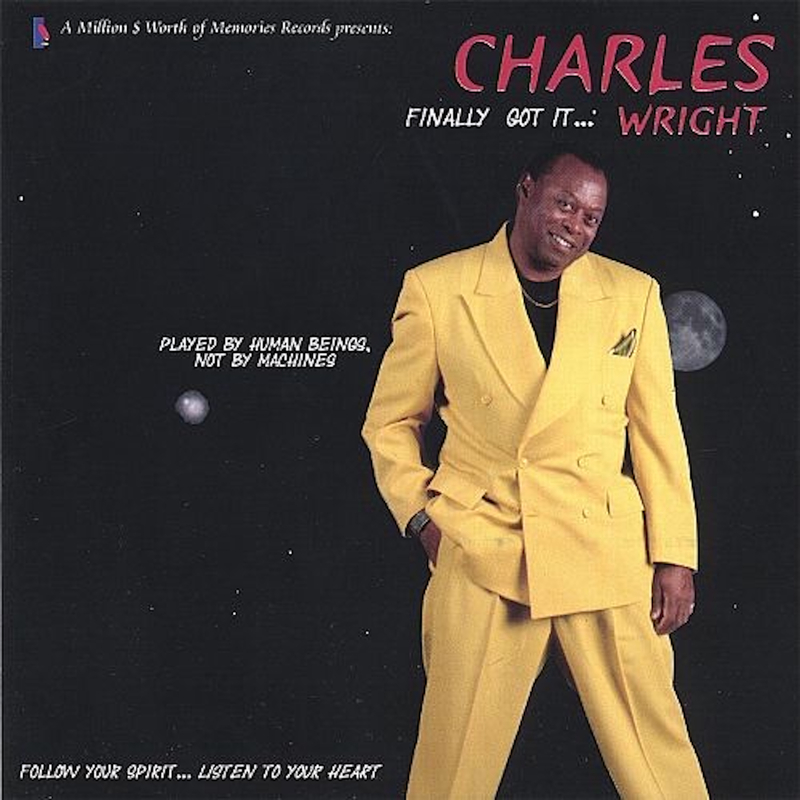 Back again with Mr. Charles Wright venturing into solo-music aside from his role as leader of the Watts 103rd St. Rhythm Band – I was looking forward to what the man might come up with this time around. A highly-skilled musician, we had slightly mixed feelings on the lead-single “She Don’t Believe In Love” from his new album Something To Make You Feel Good when we checked that out a couple months or so back – but it wasn’t due to lack of skill or know-how, it was just an unexpected combination. After listening to Something To Make You Feel Good…I suppose those unexpected sounds & songs should have come at me a little more naturally this time around…but nope…Wright continues to surprise with the directions he’s taken on solo. Much of that feeling…like how “Answer To My Prayers” begins…comes from the vocal-department. On the one hand, you’ll appreciate the freedom of expression in Wright’s music…on the other hand, you might find yourself wishing the notes, tones and production on said-vocals might match the strengths of the music more than they do. “Answer To My Prayers” was a great meter-stick to measure with and as the first song, naturally sets the impression for what we might hear on the record to follow. Wright sings with passion…and I like that…he’s missing a few tones and notes by more than a few inches wide of the mark…and that I didn’t like so much. It’s tough to evaluate someone like this that you know beyond the shadow of a doubt has an ear for music…it makes you question your own sanity as a reviewer really…makes you wonder if the music can be as spot-on as it is – what holds back Wright from staying in the studio for just an hour or two more to put in vocal performances that match the energy of the music? Because LISTEN to the rhythm and groove of “Apartment Living” – and you’ll get what I’m saying. A track like this…with the music coming through so vibrant and strong…it deserves just as much time spent on those vocals as it does the music in my opinion. The bass-lines alone make “Apartment Living” worth the price of admission…great percussion tightly backing it up, same with the guitar notes – they’re sounding great too. When the vocals creep into the song, you can hear that slight addition into the atmosphere of the mix as well…which is usually an indication that they’re sitting just a bit too high up in the track. Using the repetition of its title, “Apartment Living” keeps the song simple by just using this one statement to act as the vocals and add additional rhythm to this second-cut on the record…and as a result of its sparseness, gains a few points by being driven strongly through the instrumentation.